• Create games, activities, books, tales, slideshows... and share it! Make It is a powerful authoring tool for iPad & MAC combining multiple dynamic templates, proven didactic methodology and professional presentation techniques in one easy-to-use app. • Create dynamic interactive games for your friends, family, classroom or student. • Share your story with anyone, on any platform (iPhone, iPad or MAC), anywhere. • Add your own content or access the downloadable libraries. • Unlimited output with 8 different interactive dynamic activities to choose from. • A powerful storyteller to help kids develop their creativity and narrative skills. • Introduce or reinforce complex concepts in a way students really connect with. 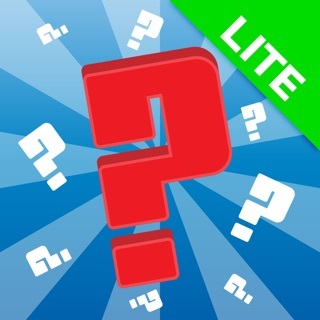 • Recommended Age: To use the app, 7+ (readers) but to play the games, 0+! • Teachers and educators - Individual support, Classroom activities, Special needs, Revision sessions. • Families - Have fun creating family games to share. • Parents - Get involved with what your kids are playing and help them develop new storytelling skills. • Students – Don’t just share photos, get them interactive and let your friends join in or amaze your teacher with an interactive presentation. Parents, educators, students and children can quickly and easily create their own individual projects and then share them with family, friends, colleagues, classes or individuals through social media or email, which can be played on any device or operating language. The app comes with interactive menus, drawing, memory, relationships and quizzes (including written), a range of themes and multiple content libraries to access from the outset or users can select their own content to include. No other app allows you to create the range of personalized games and activities that are included in Make It. Make It Premium is a subscription service that allow educators to create, share & synchronise their own educational content. You can have unlimited access to everything that our app offers while the subscription is active. - Regular price: $ 24.99/year or $29.99/year. - You can use the subscription on any device. Please use the support email address: makeit@planetfactory.com if you need assistance or have any suggestions for improving our app. We'd love to hear from you. Add sounds from your device. Better classroom and better students' reports. Great tool for parents and teachers! I can see how this app can help my toddler learn spelling and and so many other skills! Not just good for teachers, I would definitely recommend this for parents, like myself. I can quickly and intuitively create quizzes for her to type simple answers into, like just "What is your name?" (My kid is approaching age 3 and can read and type simple words). Teachers can really milk the most of this app because it cuts out the necessity for expensive software and the effort to create attention grabbing course work/games. As a teacher and a parent, I'm always looking for cool new apps and games to keep my kids engaged and honestly away from the TV as much as possible. I struck gold!! The app allows me to create projects and activities...sync them across my devices which is super important for me with my youngest being 7... he always wants the iPad!! We are all hooked!! Great job!! As someone who puts an emphasis on education, I find this app to just that, along with entertaining. I don't have any kids yet but it's definitely an app that I'll be heavily invested in for when I become a parent. This app is a true gem in the educational field and with that being said, hats off to the creators of it!